A cancer biologist has retracted a 2016 News & Views article in a Nature journal, alleging that the journal tried to censor his writing by asking him to remove passages that criticized another journal (Cell). We regret that this situation occurred. We cannot comment beyond the retraction notice. This isn’t Croce’s first retraction (we just found another recent one, in the Journal of Biological Chemistry, over image problems). He’s also co-authored multiple papers with Alfredo Fusco, a cancer researcher in Italy who has nine retractions under his belt, and is undergoing criminal investigation for scientific misconduct. What is surprising is that this paper was published in Cell, which is widely considered to be one of the top journals in the fields of molecular, cell, and cancer biology. In this regard, editors and referees have an important role in ensuring the scientific data published in the primary literature is sound, and that the findings reported are substantiated by appropriately controlled experiments and robust data — that is, they must resist the ‘splash’ and focus on the science. The choice for me was either to publish the revised version or to withdraw the paper. I chose the latter. …I withdrew the paper because I am not accustomed to be censored. Cell has no objections to the paragraph in question and has not had any contact with the author of the News and Views Article or with the [journal’s] editorial office. We’ve also found another recent retraction of a paper in the Journal of Biological Chemistry (JBC), which lists Croce as the penultimate author. This article has been withdrawn by the authors. Evaluation by the journal with image analysis software determined that in Fig. 5A, lanes 1–3 of the RB1 immunoblot were duplicated in lanes 4–6, lane 4 of the ERBB2 immunoblot was duplicated in lane 6, lane 5 of the STAT3 immunoblot was duplicated in lane 8, and lanes 1–3 of the actin immunoblot were flipped horizontally and reused in lanes 6–8. The authors state that RB1, ERRB2, STAT3, and actin in Fig. 5A were created from phosphor-chemiluminescent digital imaging. The authors also state that they have replicate data supporting the conclusions of Fig. 5, A and B. In Fig. 6B, evaluation by the journal of the original data determined that single cell background fluorescence was duplicated. The authors maintain that the concern is about a single background cell not a positive cell to show transfection efficiency and is inconsequential to proving transfection. I assure you I have done nothing on this paper. I have no clue on this paper. We’ve reached out to Sathyamangla Naga Prasad, the JBC paper’s first author from the Cleveland Clinic in Ohio, to find out more information. In 2014, we reported on two other retractions for Croce, which were for papers co-authored with Fusco. Last month, we also reported on a correction for Croce in PLOS ONE, which the journal labelled as “text overlap” rather than plagiarism; Croce denied that he plagiarized that paper. Several papers by Croce and Fusco are being questioned on PubPeer. In total, we’ve counted four retractions for Croce (including the News & Views article), as well as more than 10 corrections, some of which list Fusco as a co-author. Some corrections include problems with images. Like Retraction Watch? Consider making a tax-deductible contribution to support our growth. You can also follow us on Twitter, like us on Facebook, add us to your RSS reader, sign up on our homepage for an emailevery time there’s a new post, or subscribe to our daily digest. Click here to review our Comments Policy. For a sneak peek at what we’re working on, click here. ‘Croce told Retraction Watch that he doesn’t know why he was listed as an author of this paper, noting that the paper is about heart failure, and his area of expertise is cancer biology. He added: “I assure you I have done nothing on this paper.” Croce noted that researchers sometimes include him as an author for providing reagents, or mice, but said: “I have no clue on this paper.”‘. The paper in question was published in 2009 and it is thus not excluded that JBC has at that time different authorship criteria. 2016 correction of 2006 paper where CM Croce is senior author. Clin Cancer Res. 2006 Jun 1;12(11 Pt 1):3494-501. Preclinical assessment of FHIT gene replacement therapy in human leukemia using a chimeric adenovirus, Ad5/F35. Pichiorri F1, Trapasso F, Palumbo T, Aqeilan RI, Drusco A, Blaser BW, Iliopoulos D, Caligiuri MA, Huebner K, Croce CM. 1Ohio State University Comprehensive Cancer Center, Columbus, Ohio 43210, USA. 2016 correction for figures 1B, 3A, and 4A. 2017 retraction of 2010 Cell Death Differ paper where Carlo M Croce is penultimate author. Cell Death Differ. 2010 Dec;17(12):1908-16. doi: 10.1038/cdd.2010.65. Epub 2010 May 28.
c-FLIPL enhances anti-apoptotic Akt functions by modulation of Gsk3β activity. Quintavalle C1, Incoronato M, Puca L, Acunzo M, Zanca C, Romano G, Garofalo M, Iaboni M, Croce CM, Condorelli G.
1Department of Cellular and Molecular Biology and Pathology, Federico II University of Naples, Naples, Italy. 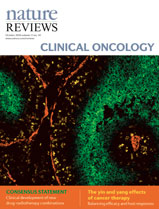 The Editors have agreed to retract the above article in Cell Death and Differentiation (2010) 17, 1908–1916, due to the use of a mismatched image in control lanes of Figure 2c However, the authors wish to note that the results reported in Figure 2c have been reported and confirmed in Figure 2f of the same manuscript. The authors are convinced of the reproducibility of the data presented, which will be resubmitted for publication using the correct panel for Figure 2c. The authors apologize to the scientific community for any inconveniences caused.